The Eagles used Meek Mill’s track “Dreams and Nightmares” as their introduction song for the Super Bowl, causing a massive spike in Google searches, iTunes sales, and streaming numbers. Even though more people than ever before are learning who Meek Mill is, and listening to his work, those metrics don’t have any real effect on the rapper, who is currently—and wrongfully—incarcerated. 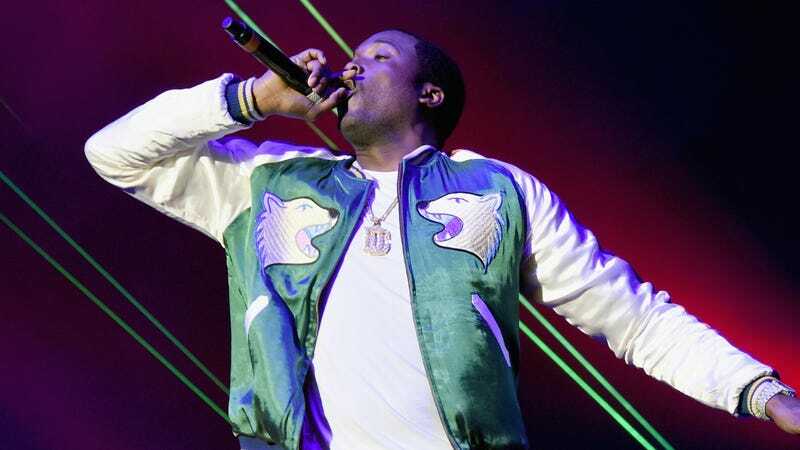 During Sunday night’s Super Bowl, a number of professional athletes tweeted “Free Meek Mill” and Minnesota Timberwolves NBA star Karl Anthony Towns even wore a “Free Meek Mill” Eagles jersey to the big sports gig. All of these public gestures of solidarity are nice, and a Super Bowl win certainly draws attention to the Philly musician who inspired the team, but none of it furthers the reversal of Meek Mill’s sentence. But why should Meek Mill hold any faith or trust in a criminal justice system that’s wronged him for years? He’s one of Philadelphia’s best-known rappers, but he is currently incarcerated over charges that date back to 2007. Regardless of his notoriety, he’s been forced to pay a debt to society he accrued while a teenager. You don’t have to look far to recognize his sentencing reflects a broken, racist, American, prison-industrial complex. Philadelphians have rallied in support of the rapper since his sentencing and will certainly continue to do so, this year, and until justice is served. But it’s hard to express too much joy over his city’s success in sports when Meek Mill is still in jail. Could an Eagles Super Bowl Victory Draw Attention to Meek Mill&apos;s Unjust Sentencing?